REDISCOVERY OF A BABYLONIAN “BOOK OF THE DEAD” — The “Mardukite/Babylonian” NECRONOMICON ANUNNAKI BIBLE considered the Book of Dead Names of the Anunnaki, Watchers & Igigi, beings which appeared to man in ages past, both physically on Earth and in all ancient global mythologies as “gods.” Outside of esoteric circles and elite societies preserving critical knowledge, mankind has completely missed the forest for the trees on virtually everything of vital importance that can be gleaned from these ancient writings… a subject of intense investigation by the ‘Mardukite Chamberlains’ (Mardukite Research Organizaion) for many years, and as a result, producing many volumes of intensive study, the first and ‘Core’ of them all… THE NECRCONOMICON ANUNNAKI BIBLE edited by Joshua Free, now available more economically than ever before in its 10th Anniversary Seventh Edition! Within the “Babili Texts” of the NECRONOMICON ANUNNAKI BIBLE we are given the original Legacy of our Ancestors — and knowledge of the ANUNNAKI — they who created the race of mankind and the Race of Marduk, and factions led the races of men against the Race of Marduk… but there are a great many aspects of the Legacy to explore, often labelled by the cultures than maintained the ‘Ancient Mystery Schools’ — Mesopotamian, Sumerian, Babylonian, Akkadian, Assyrian, Chaldean, Egyptian, &tc. &tc. Or by the sects formed around Mercurial figures based on NABU, such as Tahuti (Thoth) and Hermes… all of these rooted in the “Universal Stream” rooted in the original ‘Source’ traditions that have eluded consciousness of modern humans. On a physical level, The Gates [Shrines] of the “Gods” at Babylon were created by MARDUK to call forth and unite (and perhaps entrap) the pantheon of the ANUNNAKI under one rule: the rule of the supreme ruler of the realms, the “Lord of the Earth,” a title originally bestowed upon but never actualized by ENKI, father of MARDUK. 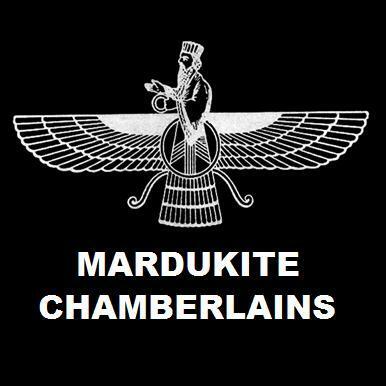 This designation was a title only and neither ENKI or his heir MARDUK were allowed sufficient freedom to rule by the Enlilites (Semitic and Judeo-Christian worshipers of ENLIL who is raised to “God” status in the traditional Old Testament). On a further pragmetic level, the priests and kings may have even been able to use the ‘StarGates’ of the ziggurat temples in each city (and the Astral Plane of Causation) to travel between places on the earth in a form of “teleportation” that is unknown to people today, and science is only recently even understanding a semantic and mathematical application of. JOSHUA FREE explains: The exact nature of the Sumerian pantheon differs from the Babylonian one, but all of the ancient traditions observe the same “figures” (only the ranking changes). Even in other ancient cultures observing the ANUNNAKI pantheon, such as in Egypt and the tradition inherited in the “Classical” world by the Greeks and later Romans… all of them are the exact same ANUNNAKI pantheon, only the language-names are changed. Each is represented by the same Celestial Bodies (planets) and the names for these is also varied based on language, but is still appropriated to the same planets. Common truth-seekers and academic experts alike are still no closer to the Truth of these things when they attempt an interpretation of the Celestial pantheon in exclusion to one another. These famous locations and cultures of the ancient world were not so vastly removed from each other geopgraphically, and these beings, should they be of the great esteem and renown that they are, should have had little difficulty reaching each of these cultures separated by distances that we would consider trite (in America) today. The idea that an entirely different race-faction of super-powerful beings would be serving people in Colorado versus people in Wisconsin is utterly ridiculous. As a spiritual tradition, Moroii lore refers to the Grigori. an ancient race of Watchers – metaphorically, the stars and planetary bodies that watch over us. The Watchers appear in the lore of all ancient cultures. They have names specific to each language, but representing Planets of this Solar System every time.